Platinum OG is one of the few successful triple cross strains with its parents being Purp, Master Kush and OG Kush. Its name comes from its platinum sheen due the high concentration of trichomes on its surface. This strain is a heavy weight providing a potent body high with a slight head buzz and mild numbing effect. 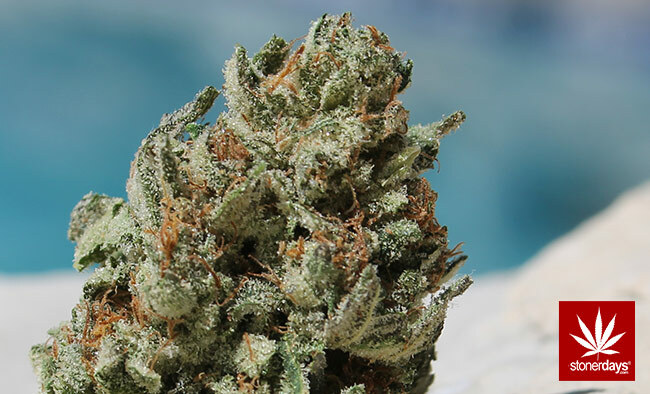 Platinum OG is best for patients suffering from anxiety, insomnia or sleep deprivation, muscle spasms, spinal nerve pain, chronic pain, migraines, depression, and appetite loss. It can often cause the patient to be extremely talkative making it a solid choice for those suffering from social anxiety. This strain is an all around great choice for any ailment because of its extremely high CBD content. Each nug is extremely dense and dark green with a slight hue of purple. There are many thick, dark orange hairs and an abundance of the highly potent trichomes making these buds extremely sticky and glittery. Platinum OG possesses a very sweet classical kush smell with a smooth, sweet and slightly tangy flavor. Click HERE for more Marijuana Strains reviews. This strain is very much reminds me of super silver haze. Very stoney high with great taste.